A lot has been written about brands, but brand builders often lack the structure and approach to make a difference. Brand Identity Essentials lays a foundation for brand building, defining the tools and illustrating the construction of strong brands through examples of world-class design. Making a brand great is easier said than done. Brand Identity Essentials is a guide for leaders, managers, and makers who build brands. This second edition is a major revision of the first, featuring hundreds of new images and content. For designers: The Brand Identity Framework—a one-stop reference for connecting design elements to strategic branding concepts. For educators: Course curriculum for teaching the fundamentals of brand building, including learning the tools and building blocks for branding, aligning aesthetic choices with strategy, and building robust brand programs. For brand managers: Brand audit checklists, including a review of brand basics, how your brand is being applied, and a look into brand thinking. For everyone: Core brand design principles demonstrated through a clear organization and a variety of sources and examples from design leaders including Alan Cooper, Artefact, Collins, Design Army, Multiple, Pentagram, and many others. Brand basics. Brand application. Brand thinking. Teach students the fundamentals of brand building. I've shared Brand Identity Essentials with many at Amway to help them understand the critical role of design in brand-building. It's one of the best books I've seen on creating brand identity: harnessing the power of color, shape, pattern and other design components to create visual symbols for brands. 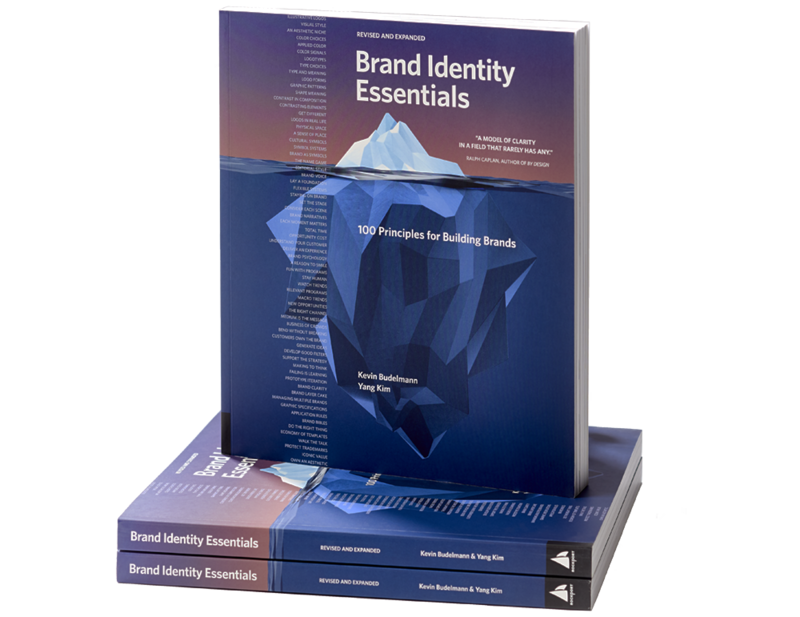 Among a sea of brand identity literature, Brand Identity Essentials stands out through its organization, creativity, and practical explanations of design principles. Great for professionals, students, visual junkies, and brand managers. Great job guys! – beautiful projects and layout, and insightful write-ups.